Long the main resource on this key American river, this book’s expanded second edition includes dozens of new photos and maps, updates, and six new chapters recording the twenty-first century’s most recent developments on the Patapsco River. Along with insightful narration of its impact on its watershed and on Baltimore in particular, the book contains the entire recorded history of the Patapsco River. It moves from the early Native American camps on its shores, through the late twentieth-century revitalization of its harbor, and to the environmental and economic changes the Patapsco has been a part of during these first decades of the twenty-first century. 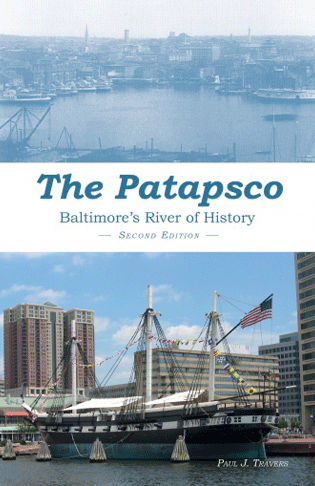 The Patapsco’s story contains some of the most important and fascinating events of Maryland’s past, and this book allows the reader to dip at will into the exciting and unexpected blend of people, places, and events that have had such great impact on the state of Maryland and the nation. published by gs design, inc.